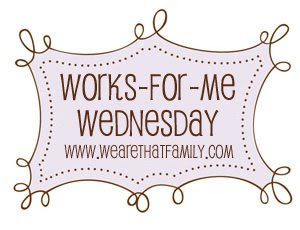 Over at We Are THAT Family, there's a themed Works for Me Wednesday this week. We're to share a cleaning tip. The one I'm going to share is one my mom taught me when I was really little (she gave me the task of going through all the mugs and cleaning the coffee and tea stains out of them, probably to keep me occupied), so I thought it was something that everyone knew. After looking around last week on the web, trying to figure out how to get the sour milk smell out of my daughter's lunch box thermos, I discovered that a lot of people were asking about getting the coffee stains out of their thermoses. Make a paste of baking soda and water and rub the coffee stains with it, they'll disappear almost immediately and then rinse. It works on mugs, sinks, coffee pots, etc. The nice thing is that baking soda is safe to ingest if you happen to not get it rinsed completely. For more great cleaning tips, check out the WFMW post over at We Are THAT family! 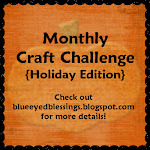 Over at Blue Eyed Blessings, Heidi does a monthly craft challenge. This is my first entry in the challenge. Unfortunately, I was a little late reading her post about it, so I didn't have much time to do something. This first one is one I did yesterday. I took some of my washable paints, mixed them with a little dish soap and then painted on the sliding patio door. I don't remember where I saw it, but the soap is to make it easier to come off when we're done. This one I did a few years ago, I took a regular clay flower pot and painted it with acrylic paints and then sealed it with a clear spray paint. I think I used a Sharpie for the face. I usually use it as a candy dish on my desk, this year I sat a yogurt cup in it and put cut flowers in it. I've done a pumpkin like this too, only I used the saucer that goes under the pot as the top of the pumpkin and I painted a jack-o-lantern face on it. I haven't gotten it out yet this year. That's it for now! I'm hoping to do more crafts for Halloween, but haven't gotten to it yet. 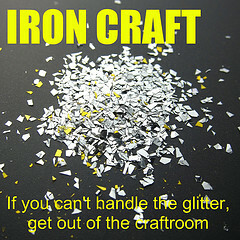 I'm also hoping to do more Monthly Craft Challenges when Heidi posts them.